An insight into the capital of Colombia: a vibrant and energetic city surrounded by the Andes mountains with much more to offer than it seems. 3rd Year Bristol Student Emily Cohen tells us more. Whilst travelling around beautiful Colombia and speaking to other tourists, I discovered that most had only visited Bogotá for a few hours, whilst waiting for their connecting flight. Many hadn’t even left the airport to venture into the city. Even when telling Bogotanos that I was living in the busy capital for 5 months, they were always confused and would ask why any foreigner would want to do so. Granted, the airport is huge, with many shops and restaurants, but this all left me baffled. Living in this weird and wonderful capital city for almost half a year, I couldn’t understand why travellers didn’t choose to explore Bogotá more. Yes, it may not have the beaches of Santa Marta, the excitement of Medellín or the outdoor activities of Salento, but in its own quirky way, Bogotá has a lot to offer. Whether you’re just there for one night before flying to Cartagena, or are living there long term, there is an abundance of things to do in and around this huge city. 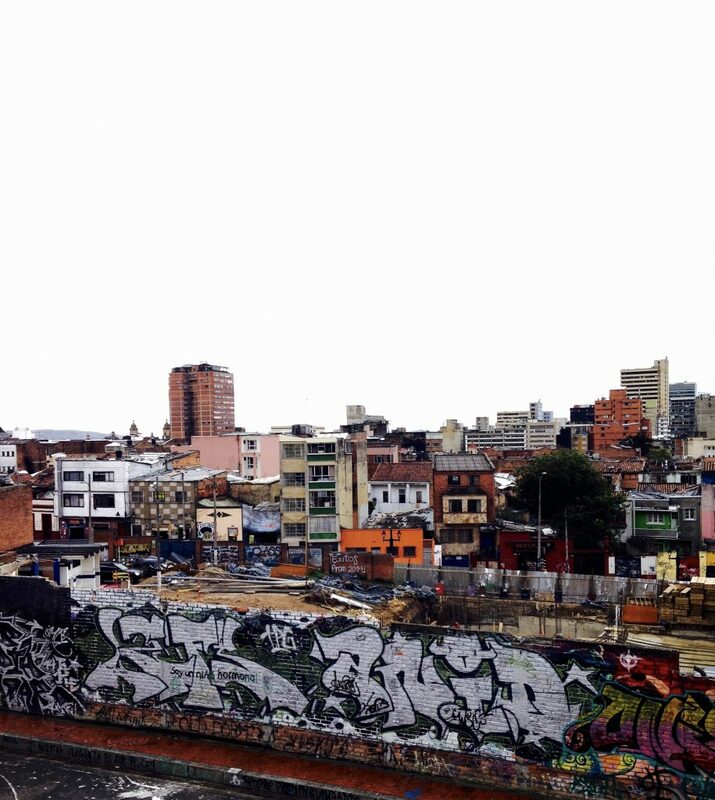 I lived in La Candelaria, which is the neighbourhood where the city began. Locals from the north of the city refer to this area as ‘downtown’ and the idea that tourists would risk visiting it, let alone live there, doesn’t tend to sit well with them. There are a high number of people living on the streets in this area, but during my time I never encountered anyone threatening or aggressive. You come across policemen every 10 steps you take and I generally felt safe wandering around the barrio day or night. Each policeman has a gorgeous dog, mainly golden retrievers, so as a dog lover it was hard to resist stroking them as I walked past. 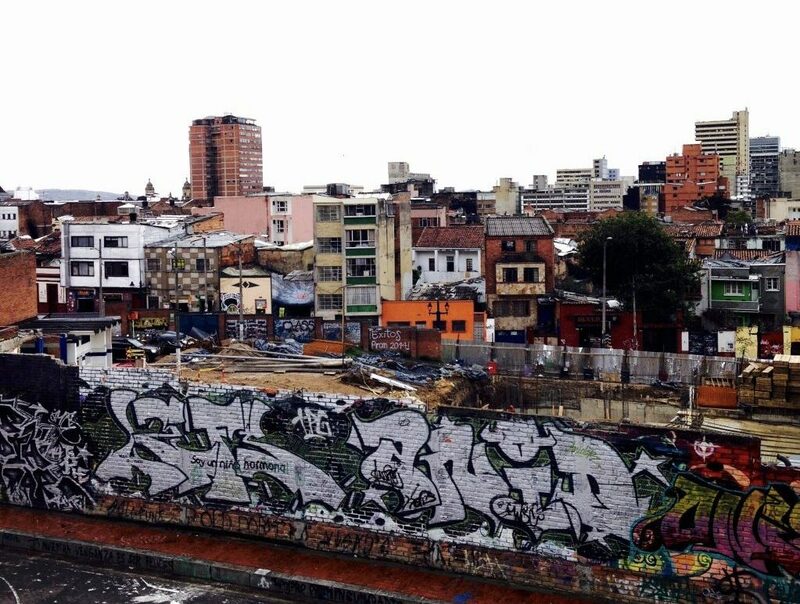 La Candelaria is home to some of the most vibrant graffiti murals in the world. Both international and local artists are commissioned by the government and various businesses to create masterpieces around the neighbourhood. The best way to make sure that you don’t miss any is to join one of the tours and to learn about the stories behind each painting. They take donations only (so they are essentially free), are presented in English, and take place twice a day. Next, if you’re feeling really cultural, there are various museums nearby, including the Museo Nacional, the Museo de Oro and the Botero museum, which are all free for students. On leaving La Candelaria you encounter the entrance to the cable car which goes all the way up to Monserrate, an old church placed high above Bogotá, giving a spectacular view of the enormous capital city. I would advise heading up around 4pm and staying there for the sunset to get the perfect picture. Finally, and for me most importantly, all throughout the city there is a wide variety of bars and restaurants. La Macarena is an area just outside of the centre, which is full of buzzy restaurants offering every type of cuisine you could ever desire. My personal favourite was a tapas restaurant named La Tapería, serving the best patatas bravas I have ever tasted. Another great place to eat is Usaquén. As well as offering a huge variety of restaurants and cafes, it is home to the biggest market in the capital. From jewellery and second-hand books to puppies in a box and delicious desserts: there’s something for everyone. The street bands and stand-up comedians add another element to this bubbly atmosphere, which is perfect for a lazy Sunday afternoon browse. 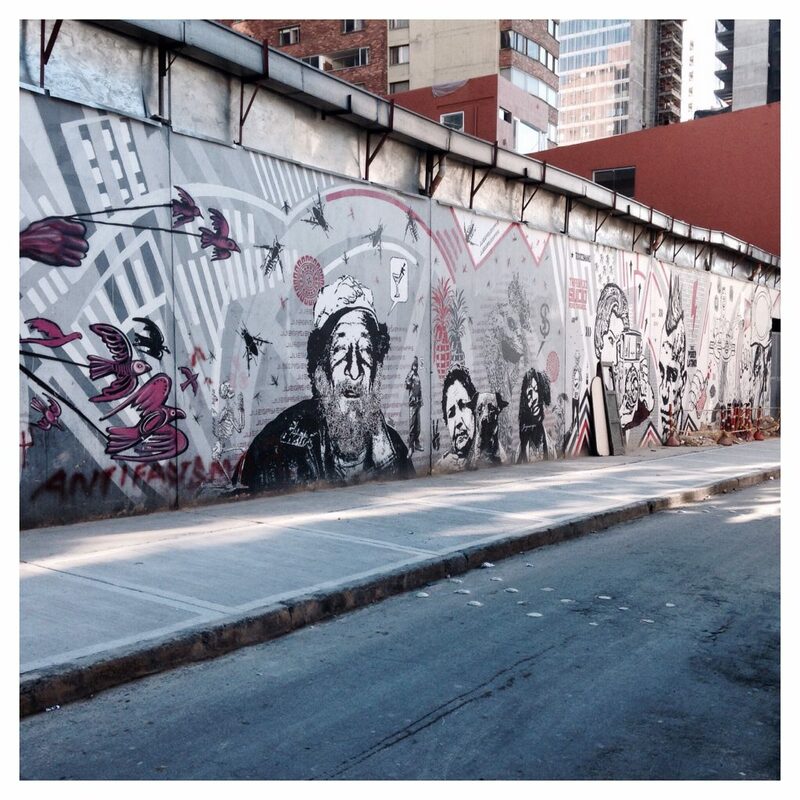 These are just snippets of what kept me occupied during my time in Bogotá; however, just like any other capital city, there are always new events and temporary exhibitions popping up. 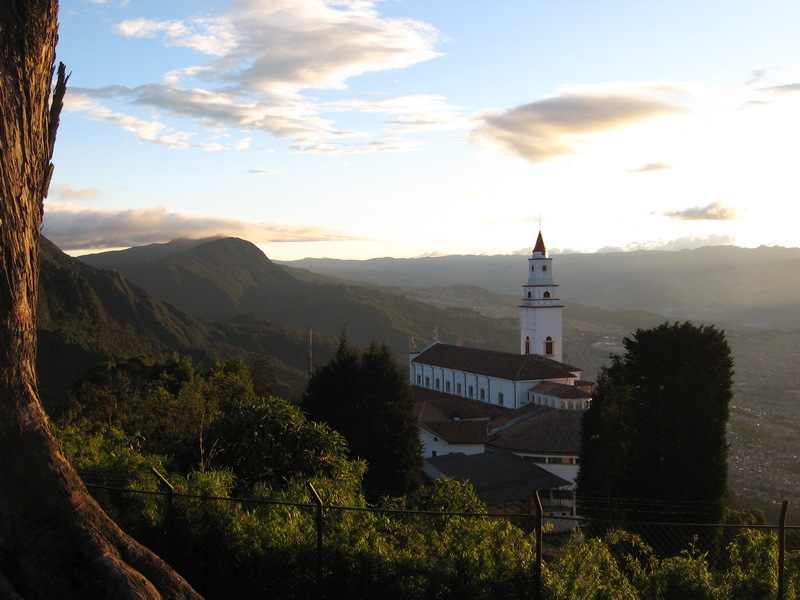 So, as well as recommending Colombia for its diversity and above all its wonderful people who are lucky enough to call it home, if you’re planning on visiting then don’t write Bogotá off as merely a good airport to catch a connecting flight. If you take the time to explore the city for all its worth, you’ll be pleasantly surprised. Images (top to bottom): Personal Archive x2, ColombiaInfo.org. Featured image: Audley Travel.